Over the Top. | Great Escape. Nick Bullock. Andy Houseman lost amongst the situation, day 2 of the Slovak. Nick Bullock. Sprinting beneath huge smiling seracs, lung skin ripped raw. Sleeping on a snow-step beneath the Japanese couloir on the Cassin, until, in the frigid early morning air, we climbed onto the crest. 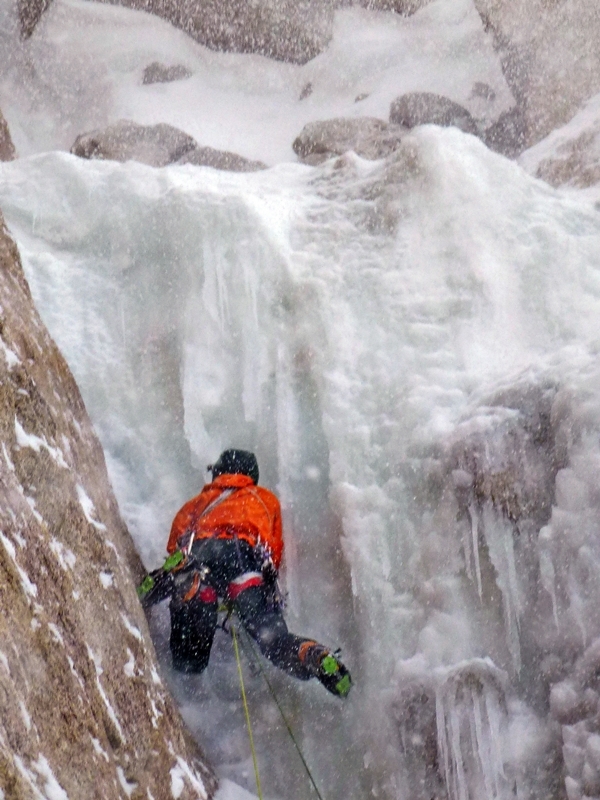 Abseils onto the east-fork glacier beneath the objective – The Slovak – A feeling of being a long way from anywhere. Committed. The sun shone. Unbeknown to us it was the final day of the settled spell – rocks rattled, seracs collapsed … we sat and wilted like fresh cut flowers while water ran down granite. We waited. 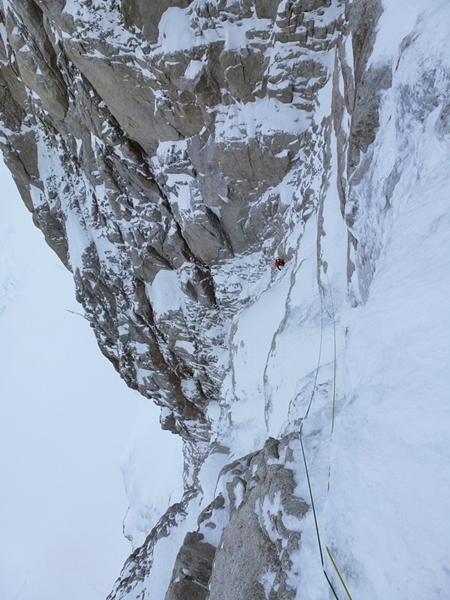 In the night, already withered, we packed, but Big Bertha, that hanging ice monolith half way up the face which separates the 58 technical pitches of the Slovak from The Cassin Ridge carved. “Shall we run?” Damn right we shall. Grabbing bags, and crampons and water bottle and boots, Houseman being younger got the better start. I stood watching billowing snow-cloud eating up distance like the sea on a spring tide and accepted. Bertha’s freshly cut finger clipping lost power, but the wind and the dust, like the destruction of a tower block blown-up, hit and shook. Again we set out, but this time a serac above the beginning of the climb crumbled and so we slid into sleeping bags and gave it an hour more. The wall was big. 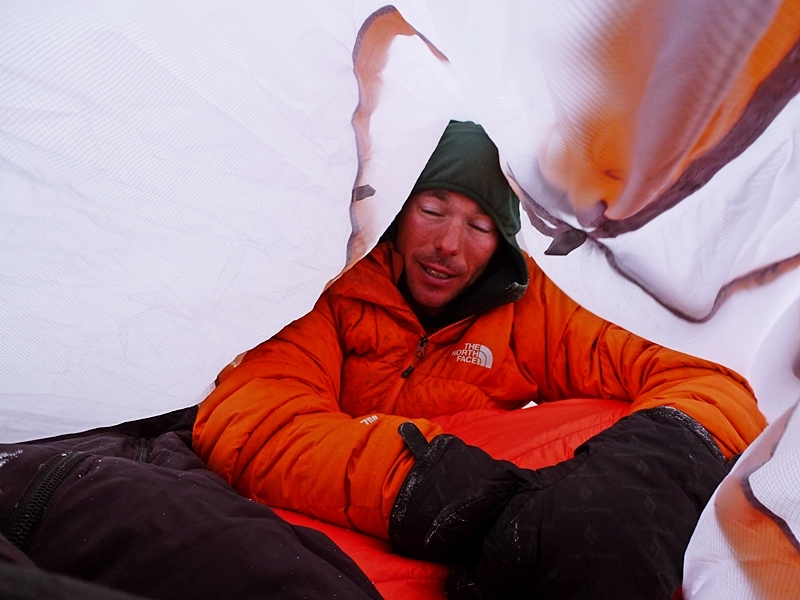 Jesse Huey’s words rattled my mind, “From half way it’s only one way, over the top, reverse is not an option.” Over the top – knackered, in a storm, out of food, out of energy – Over the top of the highest summit in North America. Maybe this whole outing was over the top, approaching the climb had already taken two days… Over the top? I stood … in silence. Ever since reading Mark Twight’s account of climbing the Slovak in a single push along with Scott Backes and Steve House I have dreamt about attempting this climb. It’s one of those rights of passage routes – five thousand, five hundred feet of technical climbing, three thousand five hundred feet of classic mountaineering – nine thousand feet in total (included for those whose maths is as bad as mine). Climbing the Slovak was a realisation of a dream, thanks to Andy’s sponsors The North Face for supporting this trip and to Andy (Youth) for talking me into going along, commiserations to Andy Nelson for not getting the time (I was set on rock climbing in Wales and Andy Nelson was Youth’s original partner). The climb took two days to approach by down climbing from camp 14000 via the crevassed and threatened Wickwire route and then by crossing the Cassin Ridge and abseiling the original 1961 start to the Cassin. A day was lost sitting at the base waiting for the face to cool. We climbed for nine hours on day one until reaching ‘the bivi in the schrund’ Most of the climbing on the first day was reasonable although one steep hanging icicle provided spice. Day two provided the raw flesh of the Slovak, twenty seven hours in a single push reaching slopes at the side of Big Bertha and then on to the Cassin. The climbing was similar to The Colton/Macintyre on the Grandes Jorasses but on steroids, there was just so much quality. Runnels, goulotte, icefall, Cairngorms mixed, Canadian waterfall ice, and all in an amphitheatre that large we were insignificant insects. I attempted to free climb the A2 crux first climbed on the second ascent by Gilmore and Mahoney but five metres short of easier ground with biceps cramping I ran out of gear. Being no place to snap an ankle I lowered and allowed Youth to get up by any means, not to say he couldn’t have freed the pitch, but time had been wasted and there was still a long way to go. 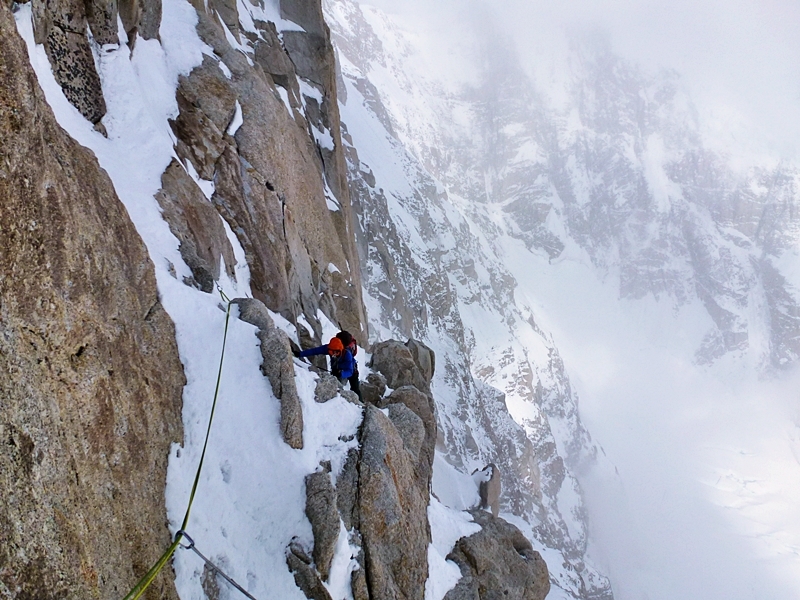 The weather deteriorated through this second day to the point that the spindrift was nearly knocking Youth from the wall on the last technical pitch leading to the Cassin. I would have chosen to have settled in for some R&R but Youth was keen to escape the face. Sat in a tent/bag (the wind and snow were so much we couldn’t erect the tent), we still had approximately four thousand feet of The Cassin to climb. We ate our final freeze dried meal at around 6am. 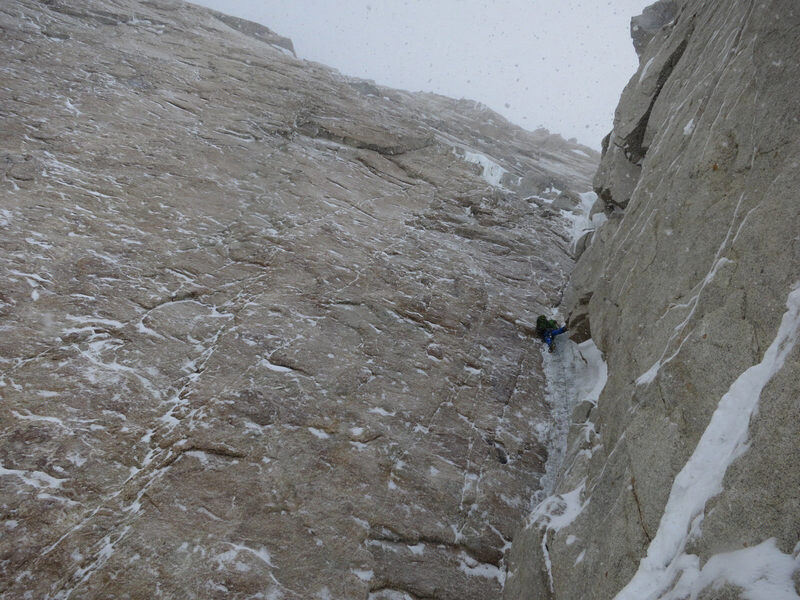 Climbing the upper section of The Cassin was purgatory, deep snow and poor weather and we stopped once again in strong winds at approximately 18000ft. 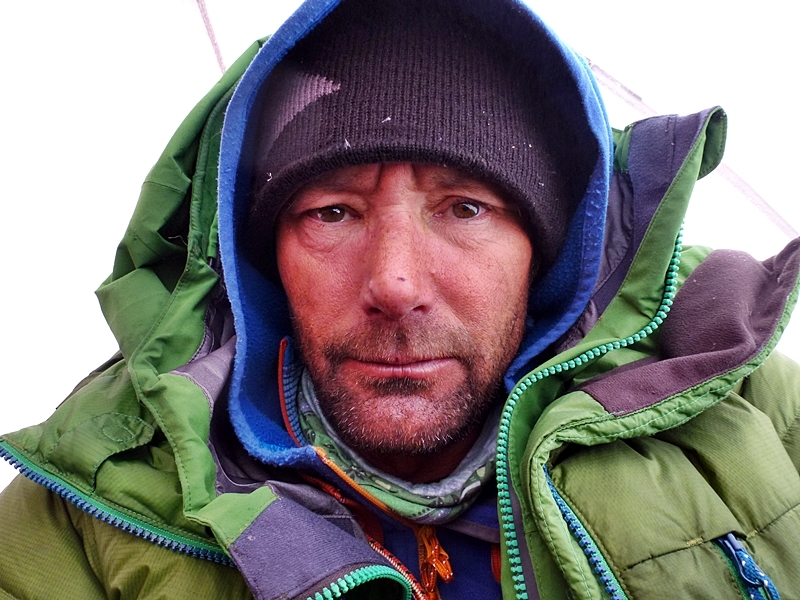 The following day after what felt and sounded to be hurricane force winds from or little crisp bag tent we traversed to Denali Summit (20,328ft, 6194m) at around 4pm on June 27th four days and three nights from starting to climb. 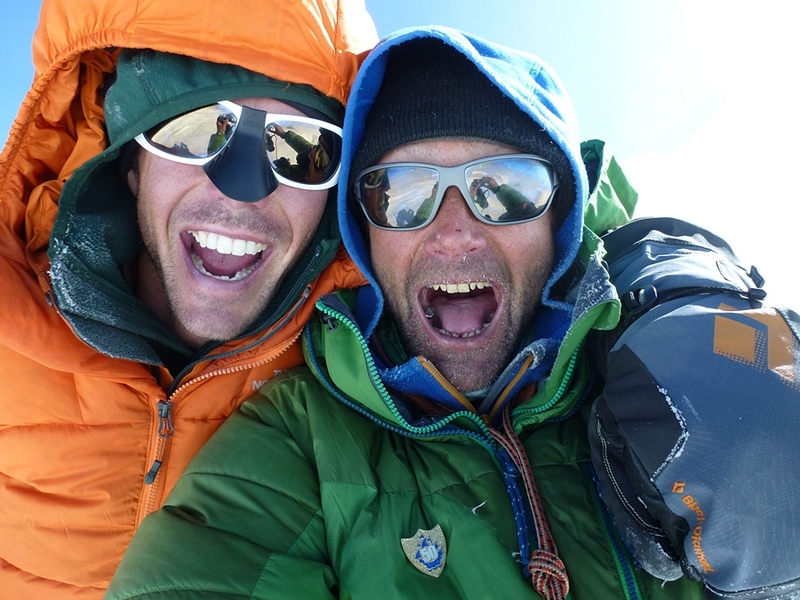 After the obligatory summit shots and celebrations we descended the West Buttress and reached our 14000 camp at about 9pm after receiving drink and food from well-known Denali guide Verne and his clients at 17000. Although I have climbed extensively in the Himalayers, the feeling of being ‘out there’ has almost never been so strong as on this climb. Slovak Direct. AK Grade VI WI6 M6+ A2 2700m. Adam, Krizo and Korl 1984. 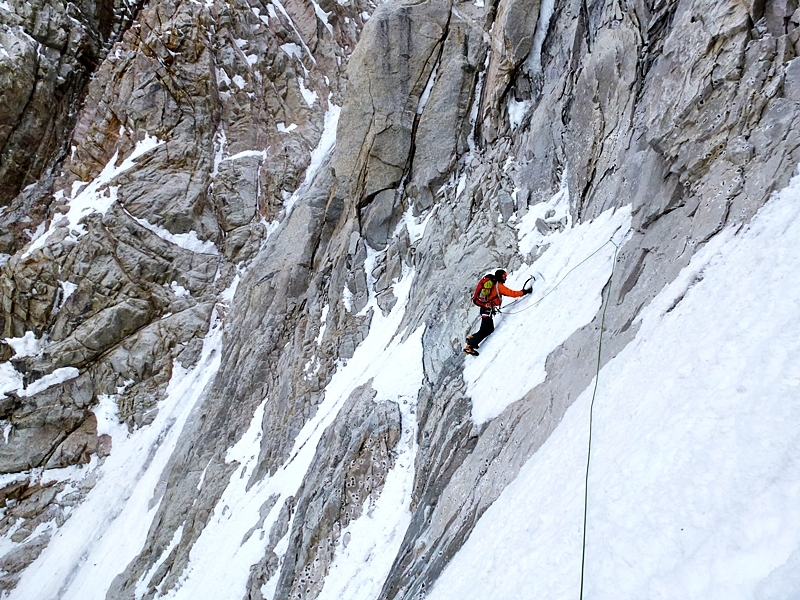 Nick Bullock climbing one of the steep ice pitches, day two of the Slovak. Andy Houseman. 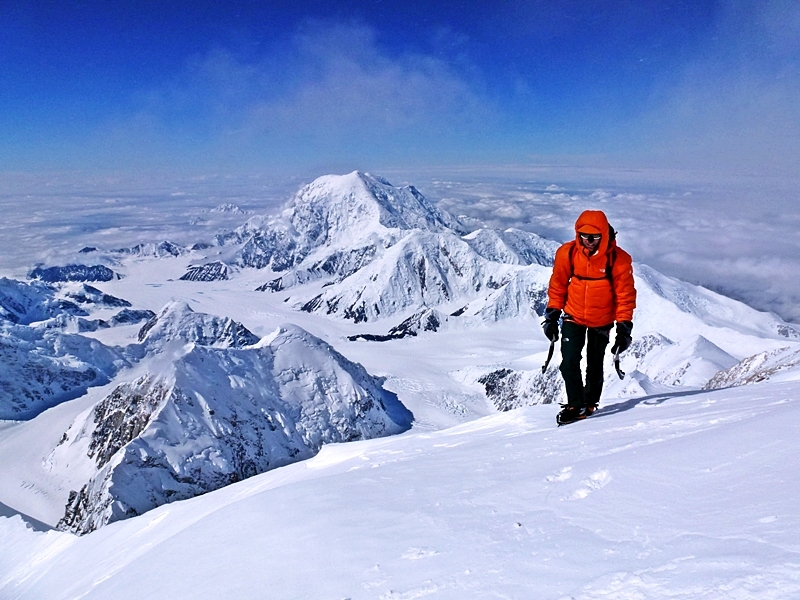 Andy Houseman nearly at Denali summit. Nick Bullock. Happy on Denali summit after The Slovak. Nick Bullock. 7 Responses to Over the Top. Awesome work Nick! What an amazing looking climb. Jealous as f**k, good work! Incredible. Thanks for the report Nick. What an experience and achievement for both of you.